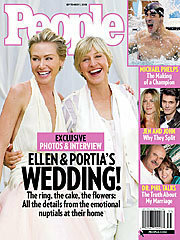 Wedding. . Wallpaper and background images in the Ellen DeGeneres club tagged: ellen degeneres. because she loves portia and portia loves her back!